Billy L. Jansen of Demotte, Indiana, celebrated his 91st birthday on December 16th, with his family. On Saturday, January 26, 2019, he was taken home to be with the Lord. 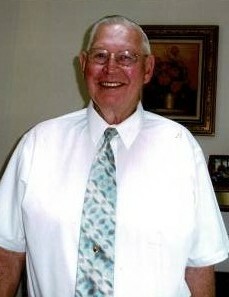 He was preceded in death by his wife of 63 years, Miriam Jansen (nee Penning), his daughter, Debbie Jansen Whitworth, his brother, Jerry Jansen, and sister Carol Jansen Towers. Billy is survived by his son, David (Judy) Jansen of Washington state, and two grandsons, Matthew Jansen of Alaska, and Michael Jansen of Washington state, as well as two great grandchildren. Billy was a veteran of the Korean War. He was a Christian. He had been employed with Scot Lad Foods. He was an avid sports fan and loved the Cubs, Bears, and college basketball. Friends are invited to visit with the family from 9:00 AM to 10:30 AM on Saturday, February 2, 2019 at Ross Community Reformed Church, 3900 W. 41st. Ave., Gary, Indiana, 46408, with a Funeral Service immediately following at the church. Pastor Jason DeVries, officiating. Billy will be interred at Calumet Park Cemetery, 2305 W. 73rd Avenue, Merrillville, Indiana, immediately following the Funeral Service. Upon the conclusion of burial, the family extends an invitation to everyone to join them for lunch and fellowship back at Ross Community Reformed Church.